Curves ahead. Visiting Maxxi in July 2016. 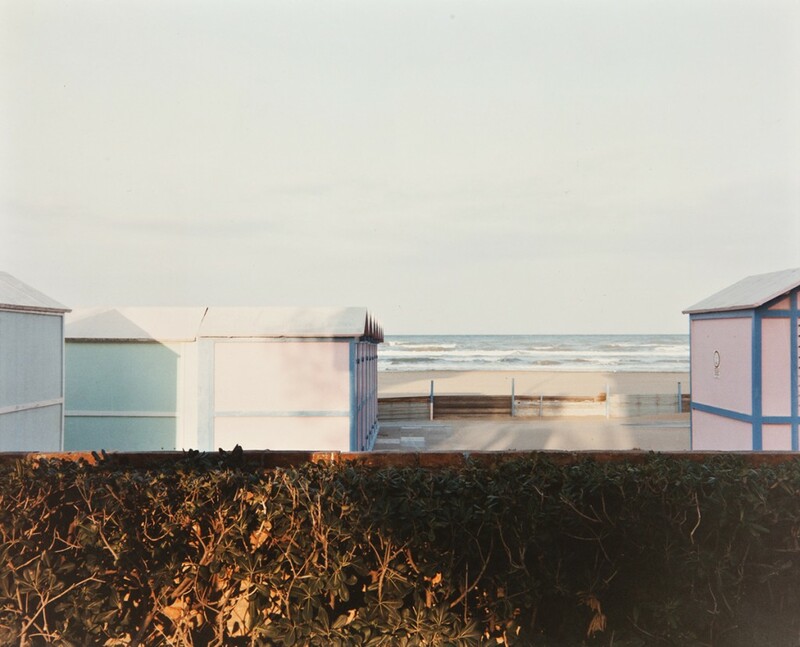 Riccione, 1984, by Luigi Ghirri. Image courtesy of Maxxi. 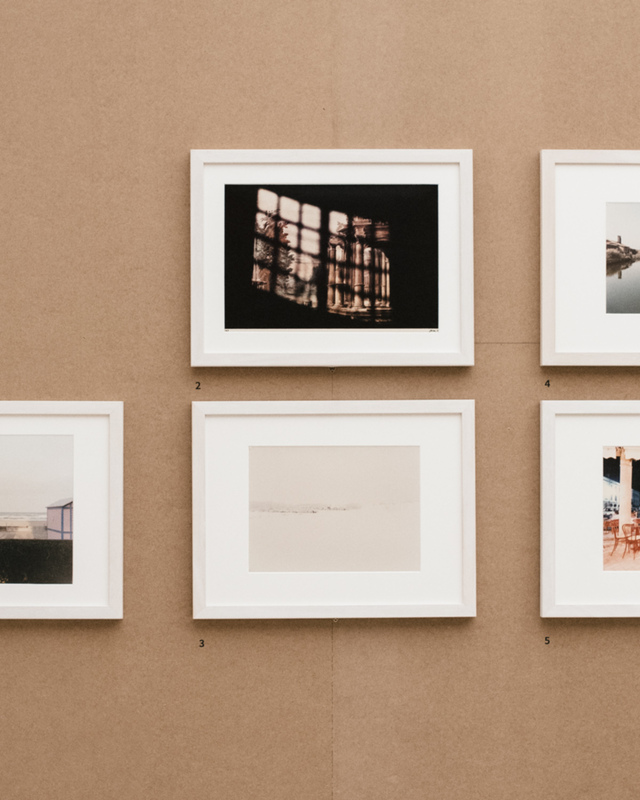 Luigi Ghirri's dreamy photographs in the 'Extraordinary Visions' exhibition. Maxxi, opened in 2010, is a museum dedicated to the 21st-century arts. It is also the first national museum of contemporary art and architecture in Italy. 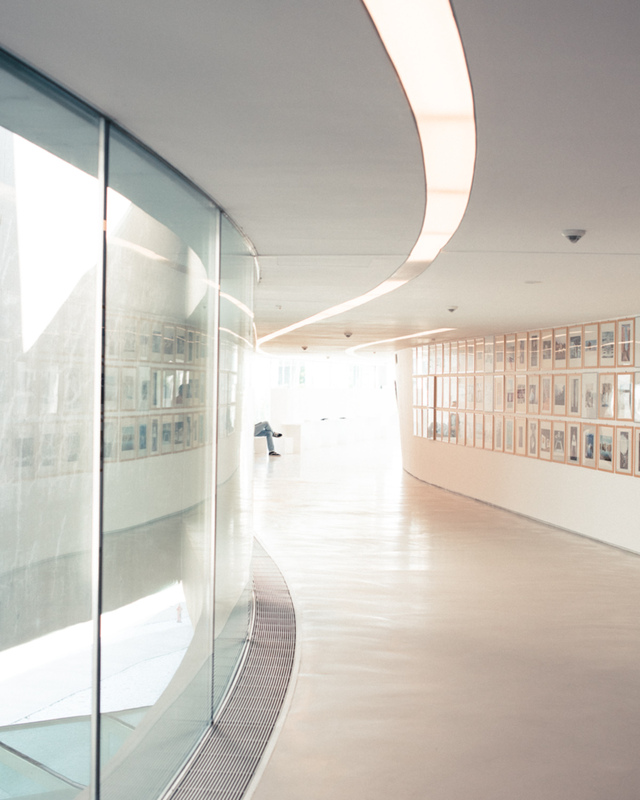 The Maxxi building itself is a destination. Designed by Zaha Hadid, it took a decade to be completed. It has a stunning twisting structure with stairs, hallways and other elements flying and flowing in the space. In other words, the building has a Zaha Hadid vibe over and out. This summer I went to see the group photo exhibition featuring shots by Italian and international photographers who have focused on Italy in their work. The 40 photographers include some great loves of mine: Franco Fontana, Massimo Vitali, and Luigi Ghirri.